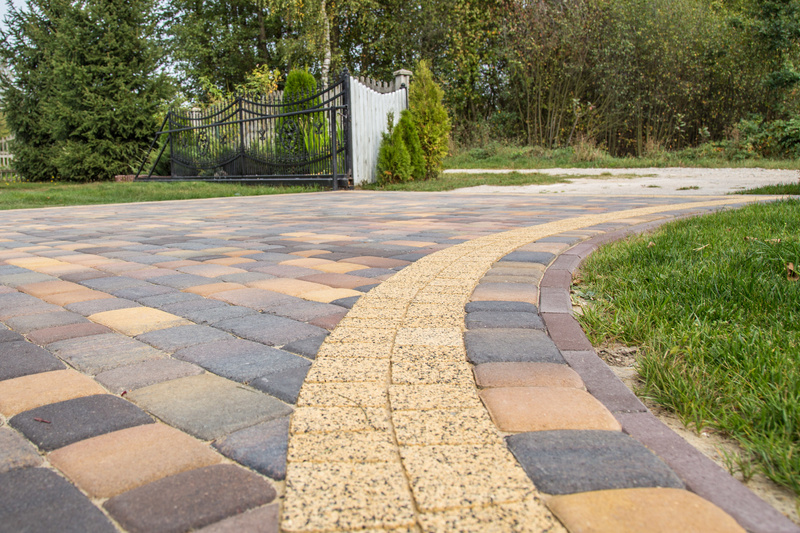 From new asphalt driveways to seal coating options, we help you with it all. Stop neglecting your home’s exterior surfaces with a better quality of residential services. We can repair, replace, and install any concrete items. Why spend more than you must when we save you more? Parking lot sealcoating is a maintenance item most business owners and managers ignore. However, it’s likely the area of your company that most customers remain the most concerned. Better maintained outdoor areas make for a better customer experience inside. Call now for the best commercial paving services. Residential and commercial seal coating is still one of the best maintenance options you can hire. Sealing over existing paved surfaces keeps them better protected against daily wear and tear, helping you prolong their service life. If you need to avoid costly poured surface repairs, seal coating is for you. 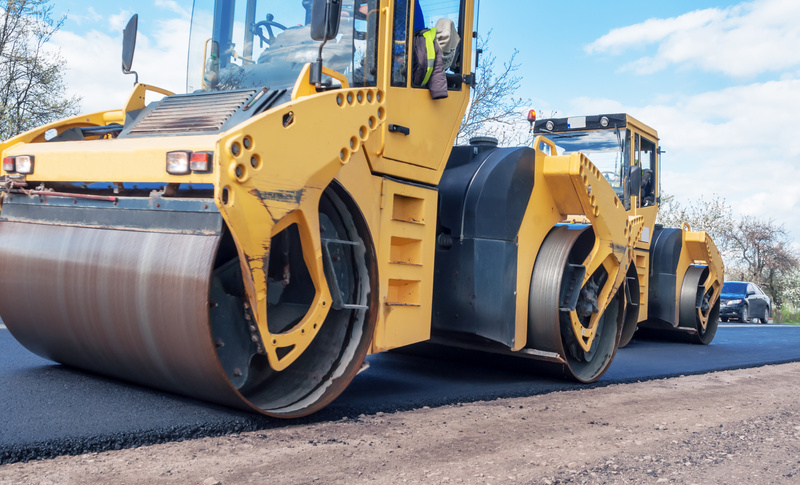 Hiring an asphalt paving contractor is something that many homeowners will eventually need to do. However, it isn’t always simple knowing whether or not you’re choosing the right team for your job. 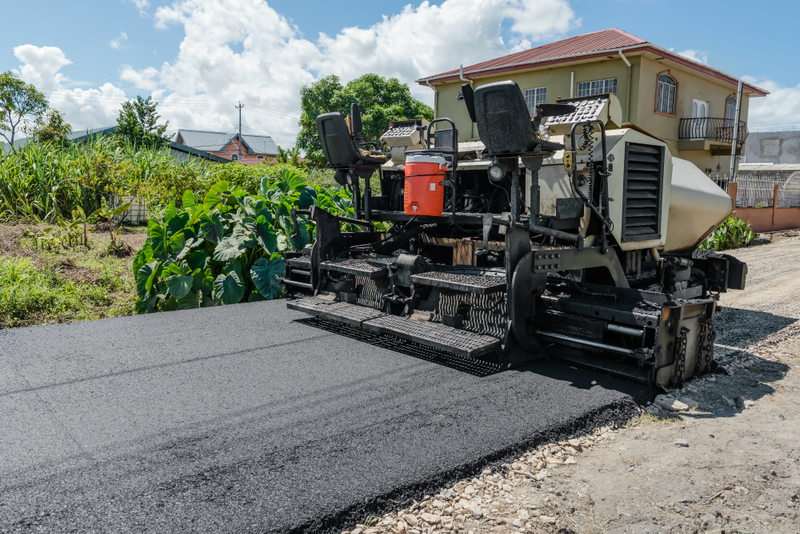 At 1st State Paving, we continue acting as the premier choice for paving companies in Delaware that more area residents trust. They know that we offer more service types and affordable rates daily. Whether you need a better driveway company or commercial services, we are here for you. See why we remain the trusted choice for a local paving company more residents hire. Hiring our team means never needing to multiple contractor services for the same project. If it’s a poured concrete or asphalt surface, we can help make it last longer than ever. 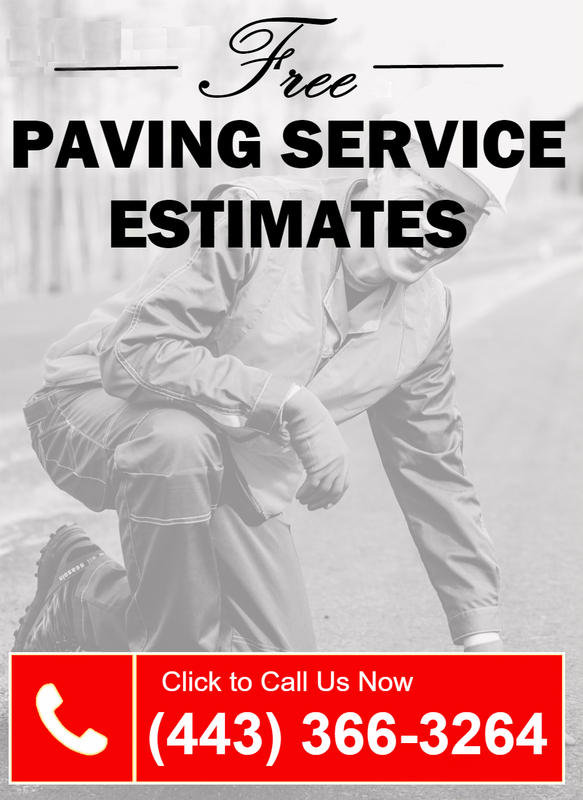 Whether you need a new driveway installed, a replacement parking lot, or maintenance and upkeep solutions, we provide it all for less each day. 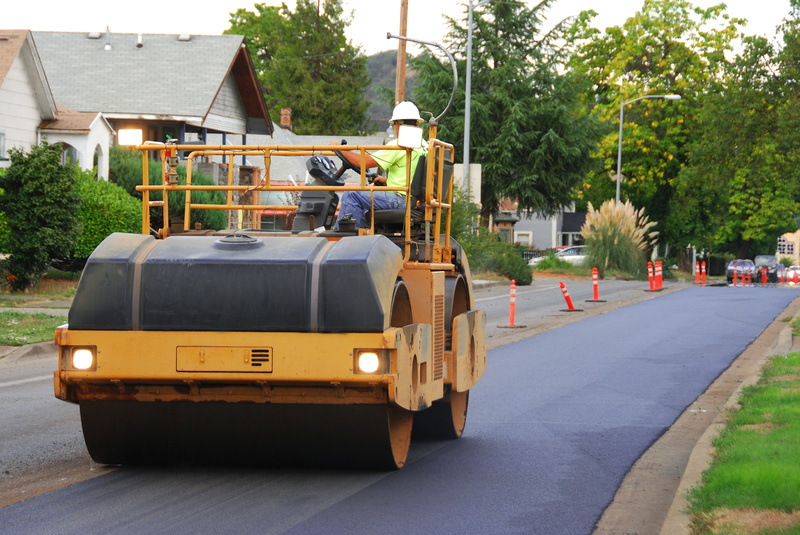 We guarantee that you won’t find a more qualified team of local asphalt contractor experts than ours. When you need better results and affordable rates, we remain here for you. Call now for complete concrete contractor services for your home or business. New construction, pours and paving, and replacement concrete and asphalt surfaces. From parking lots to driveways, we do it all for less every day. When you depend on poured surfaces, you can’t ignore sealcoating. It remains the superior way to keep driveways and parking lots pristine for longer. Asphalt driveway installation stays an increasingly popular home upgrade. Asphalt lasts longer than poured concrete, and the dense, dark surface looks excellent installed anywhere. The customer experience begins when they park their cars. When you allow yours to crumble away, it takes their expectations down with it. From new pours and installations to driveway overlay services, we can help you enjoy a better-paved concrete surface to come home to today. Resurfacing concrete areas is one of the best things you can do to extend its service life. Give your surfaces the best service now. Poured concrete and asphalt repairs are a contractor service that most area residents shouldn’t ignore long. And yet, ask any homeowner or business owner who they use, and they likely have never hired a local company before. Most poured surfaces will last for a decade or two with little to no maintenance. However, when they experience daily repeated use or stay exposed to the elements, they likely won’t make it too far without help. As your best choice for complete poured surface solutions, we do our part to provide convenient, affordable, and long-lasting results for every job. Calling us means never needing to worry about premature replacements or missed repairs again. We remain an experienced team of local concrete and asphalt contractors, keeping your buildings looking their best each day. When you need results that last, you need us working for your home or office today. No matter where in the state you have damaged concrete or asphalt surfaces, our company remains the most convenient choice each time. You can find our contractors paving and pouring all throughout the community, from the north end to the south edge and everywhere in between. How many times have you required repairs, and your contractor services provider needed all day to arrive? It’s because they operate from out of state, taking even longer to commute to your job. Wherever you live or operate a local business, we guarantee faster response times and better results on every project. When you need a trustworthy choice in local concrete repair contractors, you won’t find a more reliable team than ours. Stop wasting time with the other companies and get better repairs now. Call today and schedule us for your needs and save more on maintenance. As a homeowner, you have many items that require maintenance each year. And while you might have the skills needed to keep up with drywall, stucco, or wood surfaces, you probably don’t have the background to repair poured concrete. More homes utilize many poured surfaces around their exterior, from walkways to patio decks. Each space contends with the elements, leading to issues eventually. Unfortunately, when you run a search online for “driveway paving near me”, the returned results get overwhelming. How are you supposed to select only one service provider when you have potentially dozens to hire? Choosing us means receiving experienced repair contractors and affordable pricing on any service call. 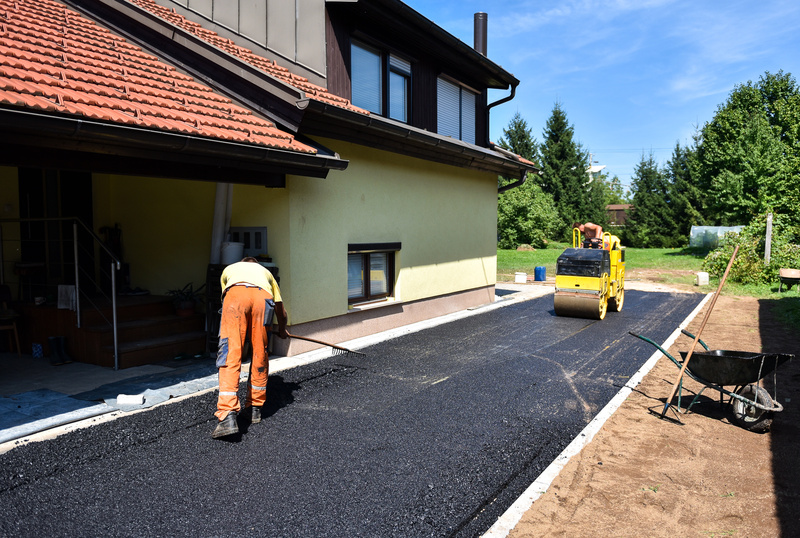 Whether you have a poured concrete driveway, paved asphalt system, or any other need, we remain the best choice each time. Whether you’re looking to get your job completed on the first try or you merely need to save on better results, you won’t find a better team than ours. We continue assisting more area residents than anyone else around. See why more homeowners choose us for all their poured surface repairs. We can save you more on any poured concrete or asphalt areas every day. Maintaining a commercial property can feel like a never-ending struggle against foot traffic and Mother Nature. 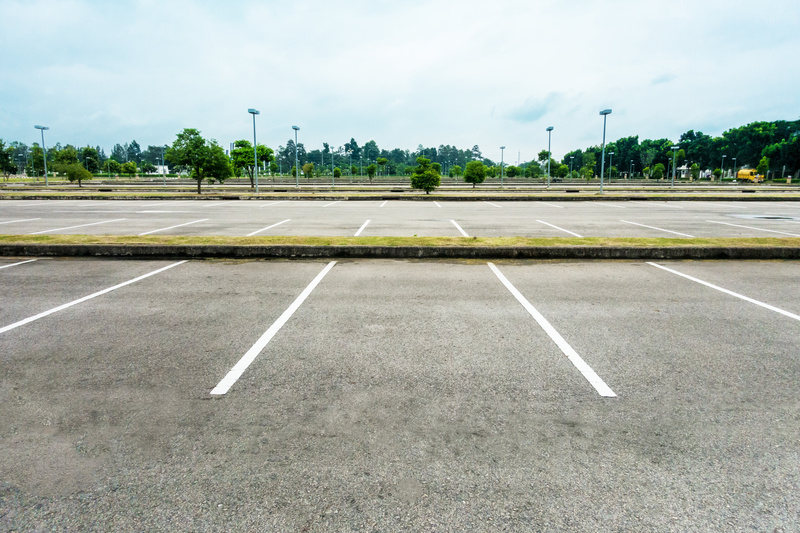 It doesn’t take much for your brand-new parking lot to develop spreading cracks and faded paint lines. Many company owners make the mistake of spending all of their repair budgets keeping up with the interior appearances. However, once the customer pulls up, their opinion of your company is already formulating. 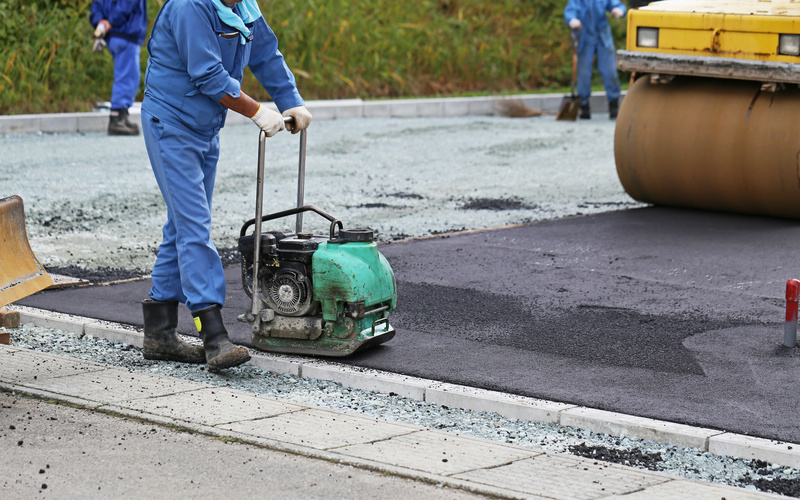 When you need your poured spaces protected throughout hot, humid summers and cold, wet winters, it helps to use the experienced team of concrete and asphalt contractors to maintain your surfaces. From the parking lot to the front entrance of your store, we can manage it all for less. Whether you sell services or products, your company needs to handle upkeep surrounding your building and not just inside. From fast food and pharmacy vehicle drive-through lanes to blacktop area resurfacing, we make it all simple. We know how difficult it stays to balance your repair budget. All too often, you’re forced to make sacrifices that take away from your curb appeal. Our company provides affordable rates and expert repair services to every job. Save more on your poured concrete maintenance needs. While some of the damages that occur to concrete and asphalt are related to repeated use, one of the more pressing hazards to avoid is moisture-related concerns. Although poured surfaces appear even from far away, up close, they remain porous, leaving them at risk for absorbing water. As water invades these hardened spaces, they can easily damage them with a change in temperature. As the retained moisture freezes, it quickly expands from within the cement, forcing it to crack under pressure. Even when temperatures heat up, your poured surfaces still contend with water damage. When the asphalt or concrete warms, it turns the trapped water into steam, which also forces the area to expand and crack. One of the most effective ways of defending against daily damage is with professional seal coating. Our team applies a specialized concrete blend, trapping moisture to the outside, which prevents it from seeping in and keeping your areas better defended. When you need to get more use out of your poured areas and avoid costly replacements, you must get better seal coating now. Choosing us means experienced contractors are taking care of you quickly. Hire the best choice with our seal coating experts today. Do you need help with your paving job? More households and businesses throughout the community know that we install and maintain poured surfaces better than anyone else around. We provide a better quality of results at lower pricing daily. Whether you need help with your home or your office, choose 1st State Paving and save. © 2013 - 2018 1st State Paving. All rights reserved.